Bike St. Lucia's home is the Anse Mamin Plantation which is part of the 600 acre estate belonging to the Anse Chastanet Resort. 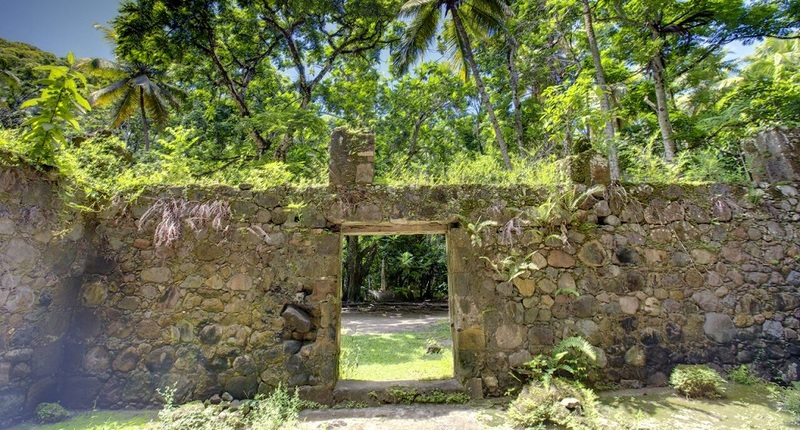 Amidst an abundance of tropical vegetation and historical remains dating back to the plantation's 18th century beginnings, 8 miles of bike trails were carefully implemented to create a unique adventure location while at the same time preserving the plantation's natural beauty and cultural heritage. Bike St. Lucia's custom trails were designed to accommodate both the first time and experienced riders on Cannondale suspension bikes. There is a skill course training area adjacent to the 5,000 square foot Bike St. Lucia's facility where riders can learn or brush up on off-road riding skills. In less than an hour, you will notice your skill and comfort levels increase dramatically, not to mention the enjoyment level on the trails. For those wanting a more challenging ride, there are intermediate level single-track trails. They are designed with the idea of a roller coaster ride in mind with lots of turns, ups and downs while cruising (or perhaps, on occasion, careening) among dense, lush vegetation on the specially made tracks. For those who practically live on a bike and have great lungs and legs, Bike St. Lucia's created Tinker's Trail. This challenging ride was designed with the help of world champion Tinker Juarez, of the Volvo-Cannondale racing team. You will find that its steep uphills and tight switchbacks make it truly an advanced expert-level trail. At the top, you can proclaim your reward by ringing Tinker's Bell. And, of course, take in one of the most spectacular views imaginable. Don't forget your camera! Tinker describes the Tinker Trail downhill ride as a "really sweet ride." For most, it will be a heart thumping adrenalin rush all the way down. About midway, there are two back to back long steep downhill portions with a slightly banked turn leading the rider from one to the other on a wild ride. Just don't miss the turn! 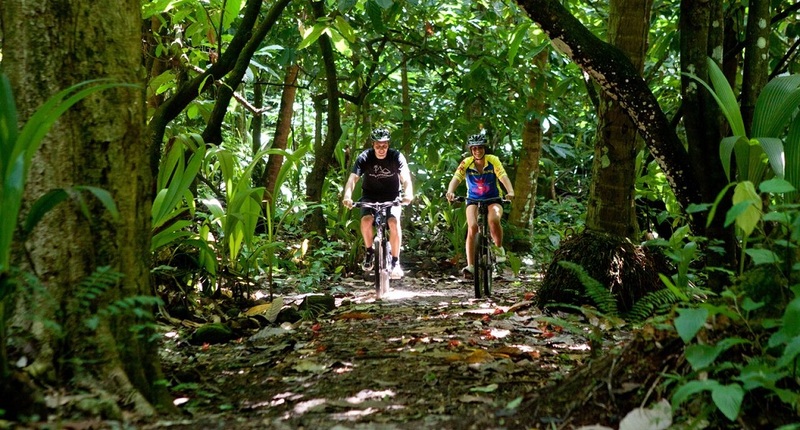 So, whatever your riding experience, Bike St. Lucia's JUNGLE BIKING ADVENTURE has trails to match your ability. COME AND BIKE WITH US! Explore at your own pace! One of the concepts underlying Jungle Biking Aventure is the freedom to explore an environment not readily available on the typical tropical holiday and certainly not accessible by bike. Another is the combining of historical ruins, some nearly 250 years old, with the modern technology of state of the art Cannondale mountain bikes in a way that both are enhanced by the presence of the other. Riders can use the bikes as a means to visit and explore the various attractions located at the site… investigate numerous 18th century French Colonial ruins, visit the hilltop site of an old estate, or check out the 2 million gallon reservoir. Bike among thousands of organically grown fruit trees and experience the exotic combination of aromas including mango, guava, banana, cocoa, citrus and breadfruit, or ride around looking for wild orchids in the trees (sorry, but you have to leave them in the trees) and make the day a photo safari. But of course you can also use the bikes as an end in themselves and cycle around the various tracks until it's time to call it a day. Or, if you're more romantically inclined, find a secluded spot and enjoy the peace and quiet. Bike St.Lucia belongs to Anse Chastanet resort and caters to resident guests of Anse Chastanet and Jade Mountain wishing to enjoy an active St.Lucia vacation. 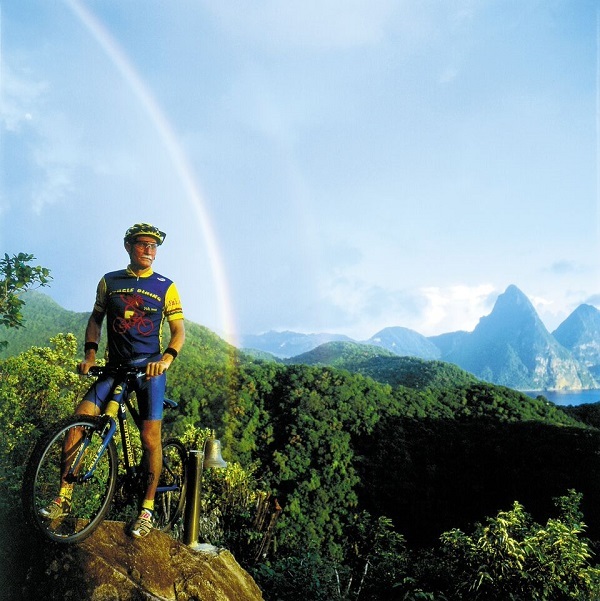 Bike St.Lucia is one of the top St. Lucia soft adventure sightseeing day excursions. Whatever you wish to do, at whatever level you wish to ride, for as long or as short as you wish, BIKE ST LUCIA and the Anse Mamin Plantation is yours to explore. Make the day your very own exciting jungle adventure! A few places each day are reserved for non - resident guests. Cruiseship passengers visiting St.Lucia for the day or travelers staying in one of our St.Lucia Resorts, Hotels or Guesthouses in the north of the island can visit Jungle Reef Adventures for an overview of our exciting St.Lucia day tours options.